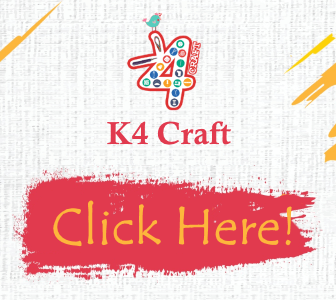 Pongal is a four – day celebration held in Tamil Nadu. The Festival is usually celebrated in January to February. Pongal Festival is a form of harvest festival and a way of people from Tamil Nadu to give thanks to nature for helping them grow their harvest. The name pongal refers to “boil” and marks the weather when rice, Sugar Cane, and other grains are harvested. It is a festival of prosperity and is celebrated widely in the state. This occasion is celebrated with many pūjā’ōṁ; women pulls kolam at the entrance of the house and many competitions and festivals are held. 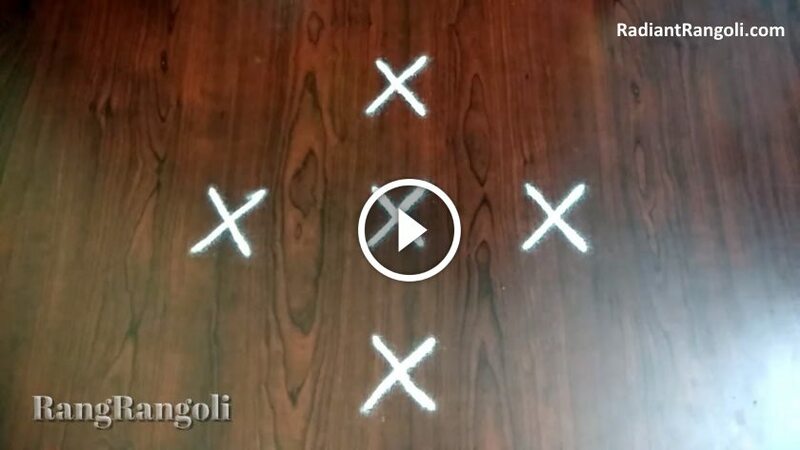 A special type of rangoli seen in kolam, or South India is performed in most homes throughout the house. 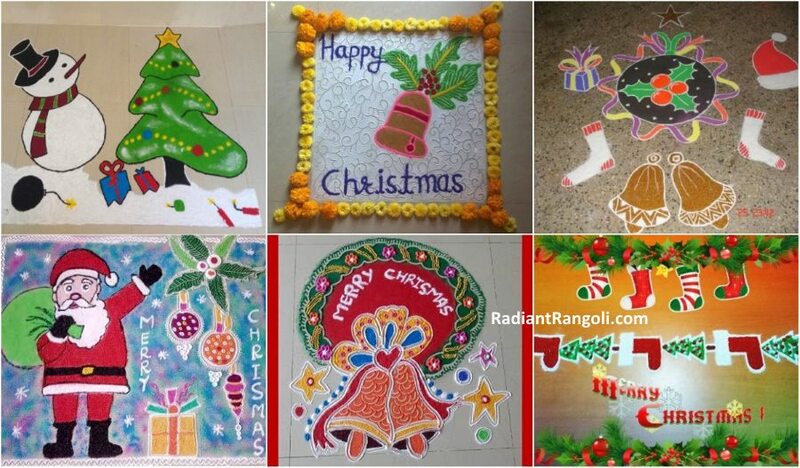 But during pongal all houses, offices and lane are decorated in colourful kolam. 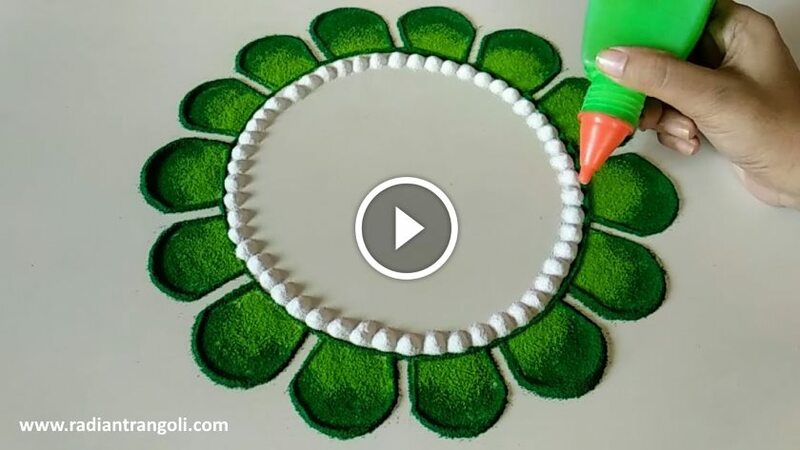 It may appear difficult work in making kolam but with some practice, anyone can get better on this. 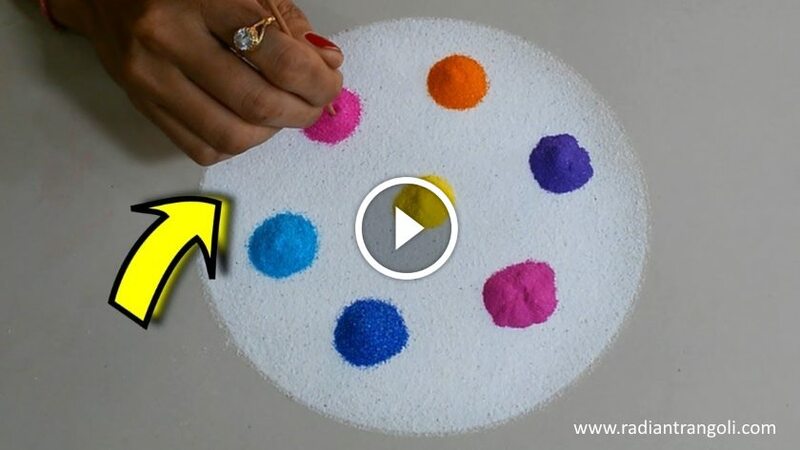 Colours used in pongal are usually powder, and using fingers to attract pongal kolam designs is an essential part. 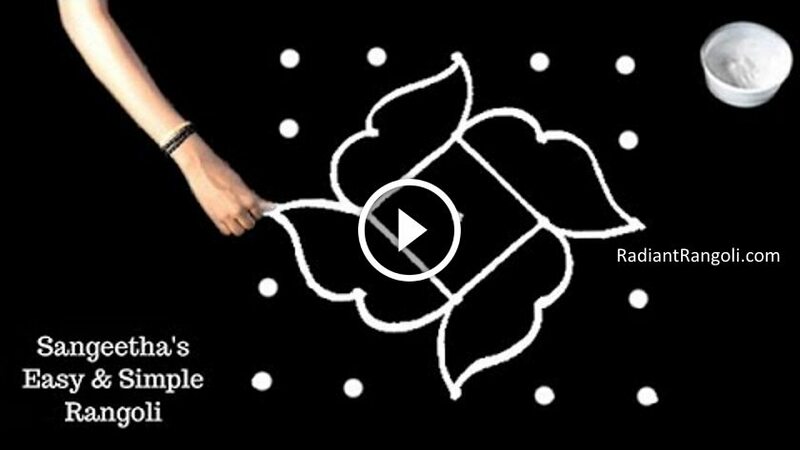 In addition, flowers are used to make petals and leaves kolam. In Design, a variety of color flower petals are used. 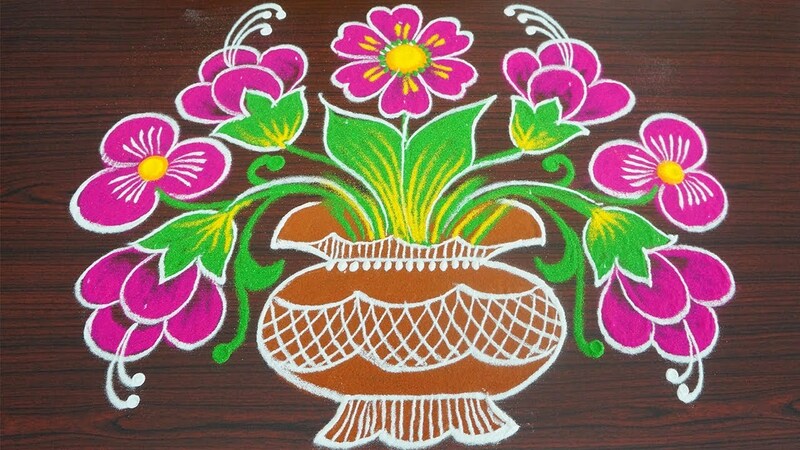 Sometimes colorful powder is also used with flowers.